If you are sick of your normal breakfast routine, here are a few ideas to make breakfast a little more fun. 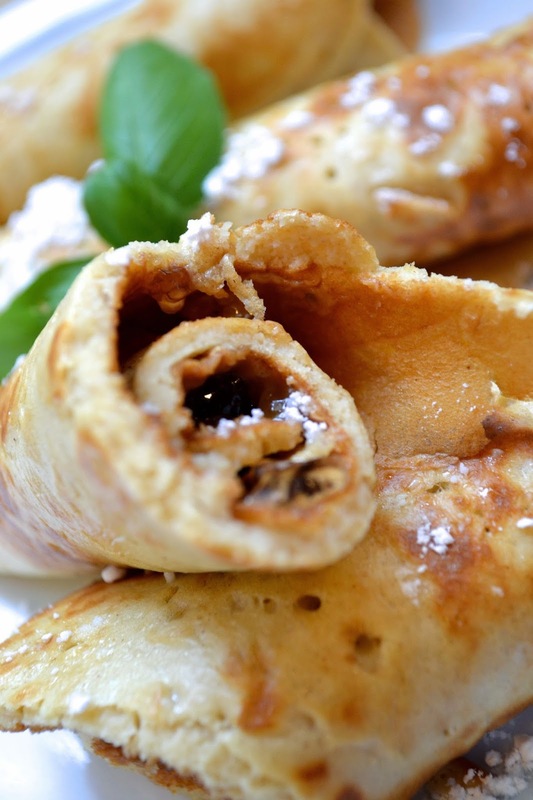 Instead of pancakes, try these PB&J Crepes. I used GF flour instead of regular and I added a little peanut butter to the batter, which I think made them a little thicker than a regular crepe but they were super yummy with a little powdered sugar on top. 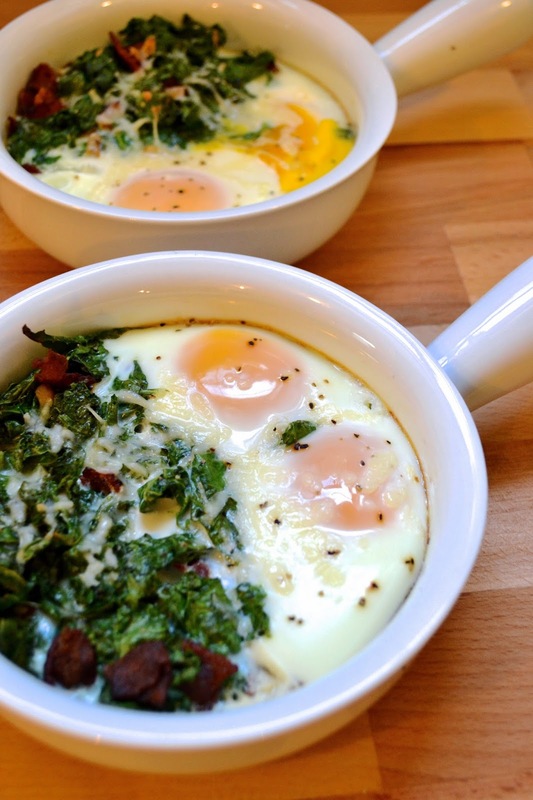 If you are tired of fried eggs, try this baked version with kale. I used bacon instead of pancetta since I had bacon on hand and topped it off with a little parm. The recipe forgets to mention a pad of butter needed in the dish but it's mentioned in the comments and I think it is really necessary. 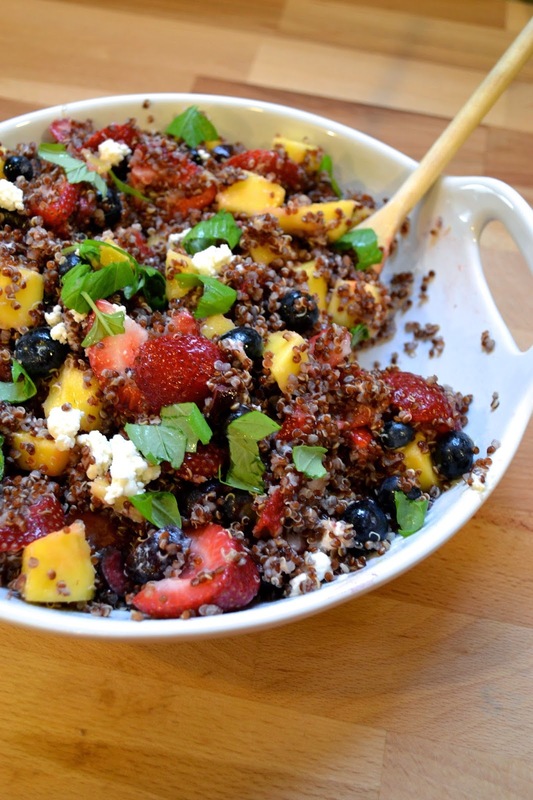 If you want fruit for breakfast but still want something a little heartier, try this quinoa fruit salad. I actually made this for dinner one night and added goat cheese and basil to give it a more savory component. It's definitely a great dish for a hot summer night!